Vancouver Police are asking the public to help locate 60-year-old Shakti Chand, last seen walking in the area of East 49th Avenue and Knight Street just after 6 a.m. this morning. Mr. Chand has dementia, and he may be confused and disoriented. He is a South Asian male, 5’5” tall, 180 pounds with very short black hair, and brown eyes. Mr. Chand was last seen wearing a grey fleece jacket, brown pants, and no shoes. If you see Mr. Chand please stay with him and call 9-1-1 immediately. 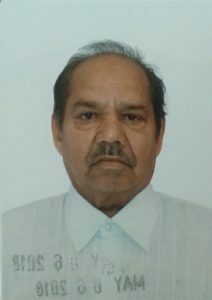 This alert, "CANCELLED: Missing 60 y/o male Shakti Chand near East 49th Avenue and Knight Street" imported on 2018/05/19 02:34 was originally posted to the "VPD Media Releases" web site and is provided here for alerting purposes. Please see the original post for authoritative information and updates on the missing person.